OS Map reference NR7304, co-ordinates 55deg 17min N 5deg 34min W.
OS Map reference SW5841, co-ordinates 50deg 13min N 5deg 23min W.
It was found 8635 days after it was ringed, 564 km from the ringing site, direction S.
A Montagu's Harrier was found on the Lizard on Wednesday on the downs around Croft Pasco pool. I saw it today on several occasions, but never close. The three images below are 50% crops. 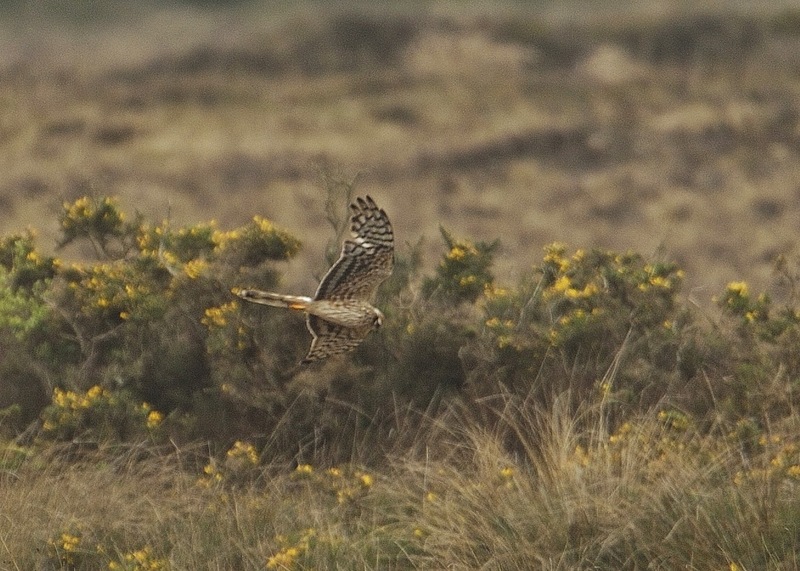 The species is rare in Cornwall, averaging about one or two records annually. Several birders with me today were pleased to notch up a new county tick. 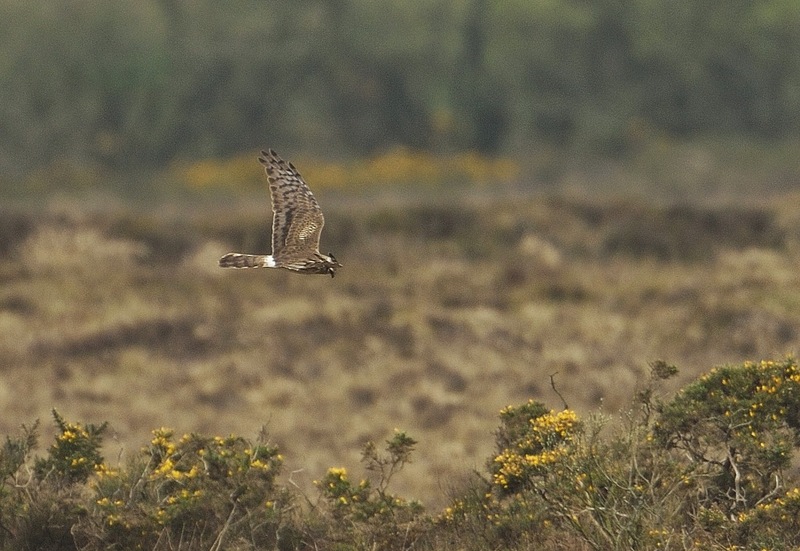 It is of course the rarest of all UK breeding raptors with just a handful of breeding pairs in East Anglia and southern England, hence the strong interest in this migrant. The species last bred in Cornwall in the early 70's. The population for the western Palearctic is estimated at 35,000-50,000 pairs. The global population is unknown but could be anything between 150,000 to 200,000 individuals. This uncertainty is due to most of the world's population being situated in Russia where it is not quantified. The species is a long distance migrant. Birds from Europe spend the winter in sub-Saharan Africa, while those from the eastern part of the range migrate to the Indian subcontinent. 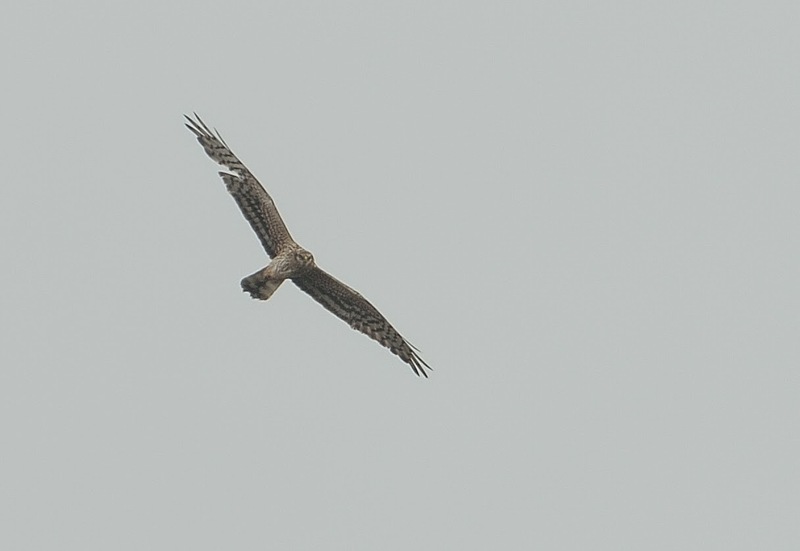 Breeding and wintering range of Montagu's Harrier. 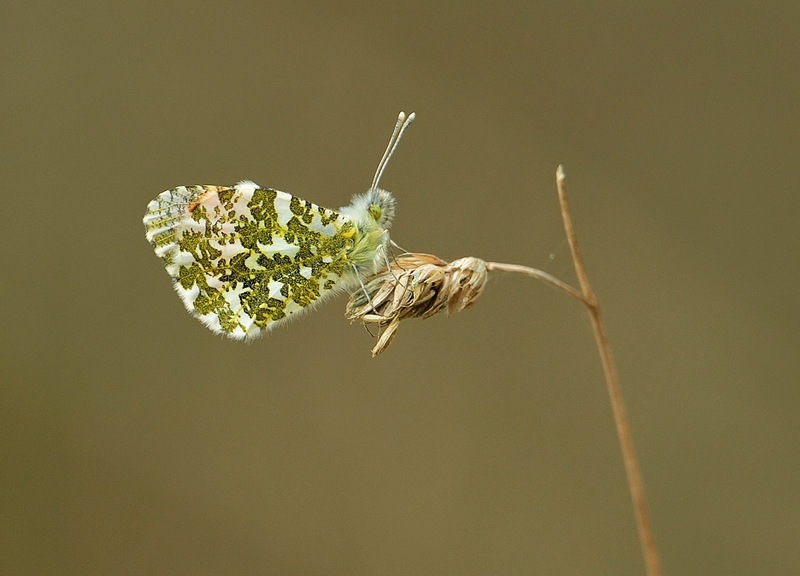 I called in at Breney Common this morning to see if any Orange Tips were out yet. Just one male was found at this woodland site on the west edge of Bodmin Moor. The temperature this morning was only 11 degs so I guess maybe the heat of midday will entice a few more out later. I managed to get a few shots away when the background wasn't competing for attention - not easy in woods!